“The Raven”…Real Edgar Allen Poe’s life far more fascinating than this fiction. 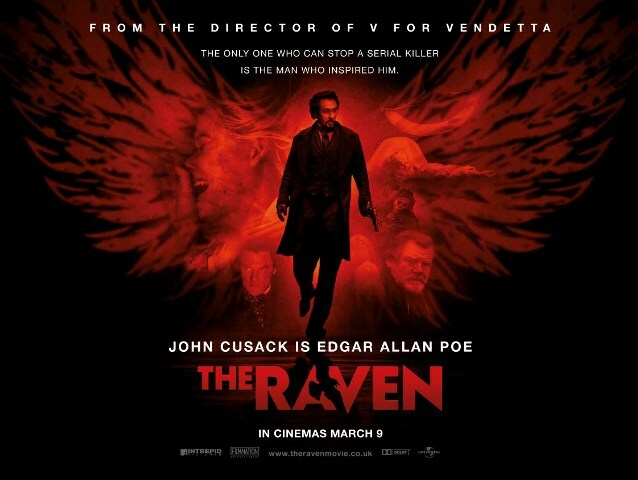 I just got back from seeing THE RAVEN and, while there isn’t much to “rave” about, I’ve definitely seen worse. 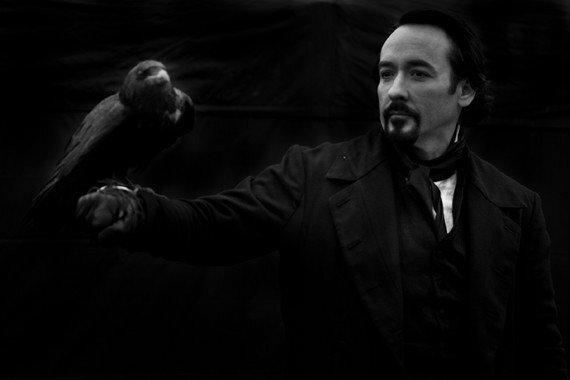 John Cusack plays the legendary Edgar Allen Poe and does a pretty good job portraying the tortured genius whom many horror fans will site as their favorite chapter in literature class. “God gave him a spark of genius drenched in misery,” states his frustrated employer, and this is something that both history and this film firmly establish. I attended a matinee and was one of about 5 people in the theater. I was slated to see this film with my friend, Nikki, who is an English teacher and marks one of the few times when her movie interests and mine meshed. Of course a blogger’s schedule differs from that of a teacher, so I decided to give it a jump-start in the essence of time. Edgar Allen Poe had a profound effect on American literature but his short life was marked by tragedy, poverty, and addiction. 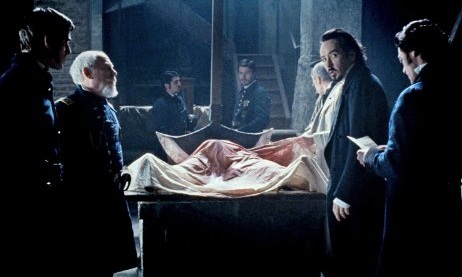 Poe died in 1847, officially from tuberculosis (some reports suggest rabies), though this film offers an alternative cause via a killer who mimics the murders written about in Poe’s stories. While at first suspected as the killer, Poe is quickly dismissed as investigators discover that the true culprit’s hands are much larger. When the killer is finally revealed, I found this deduction a bit strange since when he didn’t appear to be that much more imposing than Poe…but I digress. Not so far as he and this film are concerned. This entry was posted in Movie Reviews and tagged Edgar Allen Poe, John Cusack, The Raven. Bookmark the permalink. ← FIRE IN THE SKY: 1990’s UFO Abduction Tale Illustrates The Truth is REALLY Out There!